What are the field stop diameters on the 13mm and 22mm? If I recall correctly, the 22AF-70 I briefly had measured to ~28mm field stop based on TFOV. The shock came with the 13AF-70, which looked like it had a field stop that was close to that of my old 13T6 Nagler. Across the board, I found the 22AF-70 to be superior to the 13AF-70. I'm curious if the Olivon 70-deg line exhibits similar behavior. However, the distortion assumption may be inaccurate, and the derived figure, which is based on a 1825mm focal length scope, may be a little off. The 32mm, for instance, seems to measure over 40.5mm, which would translate to an apparent field of 75 degrees. The mfr indicates 40.0mm on that eyepiece, but my caliper got 40.65mm when I measured it. On the other sizes, the field stop is "virtual" (in between lens sets). Other assumptions, for example, derive a field stop of 15.9mm for the 13mm. Without a manufacturer's figure for edge-of-field distortion or a true field stop figure, star timing is the only way to get "actual" true field figures. 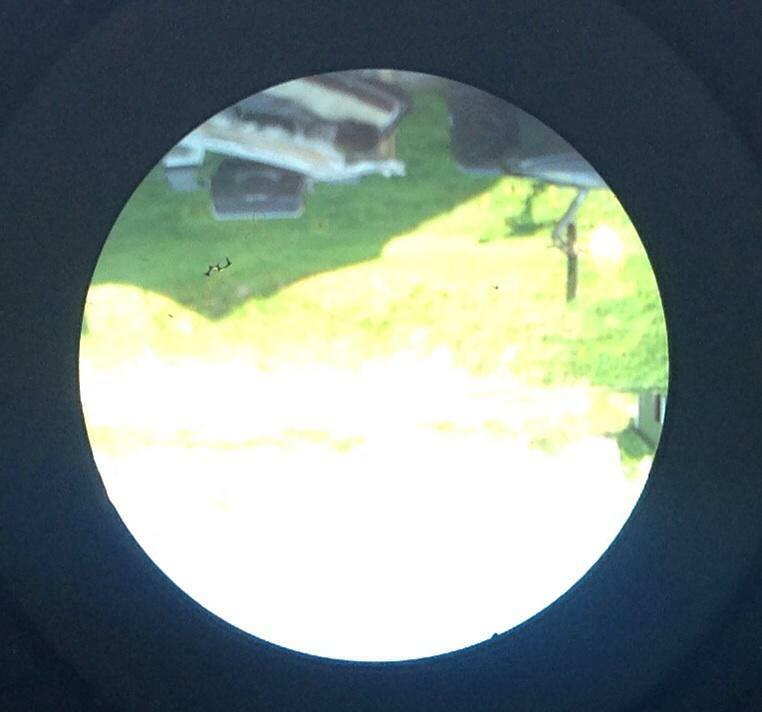 FS = (TFOV/57.3) x telescope focal length. As I've commented on many times, the eyepiece characteristic that most bothers me in otherwise excellent eyepieces is edge of field brightening. The eyepieces I keep have zero or negligible EOFB. 5.5mm Meade UWA which shows mild EOFB. Notice that unlike the 13mm Olivon, while there is a bright ring the ring is dark closest to the field stop. In the case of the 13mm Olivon the EOFB manifests in the outer 30-40 % of the field as a "foggy" light. The stars are bright and pinpoint to the field stop, but in that outer portion the stars look as if they are being seen through clouds. In the inner field stars are sharp and clear but the scattered light seems to reduce contrast even there. Basically what I am suggesting is that a marvelous eyepiece is being ruined by the simple failure to properly blacken surfaces. 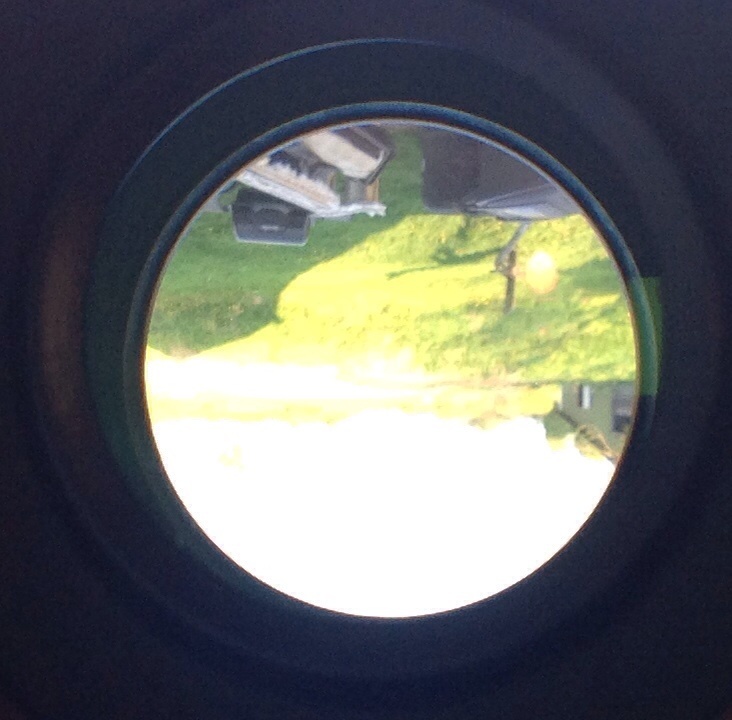 The eyepieces with no EOFB have none of these reflections evident. The worse the bright surfaces the worse the EOFB. I will be attempting to fix this problem as time permits by working from the bottom inward to blacken retaining rings and surfaces. 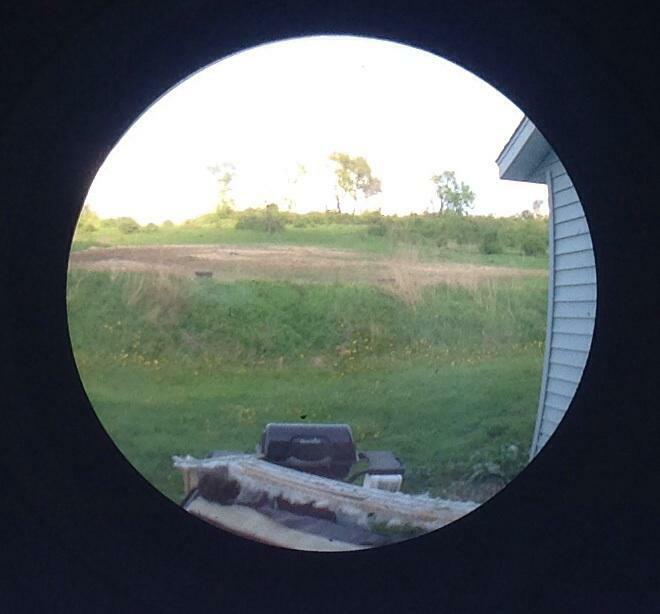 After each surface I will test the eyepiece at night before moving forward. I have seen exactly the same sort of thing, Dave. It's an unbelievable oversight on the mfr's part. I mean, what business are they in? Is there no leadership in their engineering? I believe it was Don who suggested that these Chinese companies operate on a "distributed engineering" model, freely borrowing design elements, parts, etc. amongst them. Maybe the 22mm was a happy accident. Sigh. You mean near the entrance to the eyepiece bottom. The field stop is, I believe, where the bright ring is in the Meade, just as it is, I believe, where the thin bright line is in the Olivon 13. With these compound eyepieces, the field stop is in between the upper and lower lens assemblies. If the baffle were properly designed, no reflections from the lower assembly would be visible at all, and especially not from the inside edge of the baffle itself. It would take so little effort to properly baffle these eyepieces. As with refractor tube assemblies, proper placement of baffles essentially eliminates light scatter from the walls of the eyepiece. 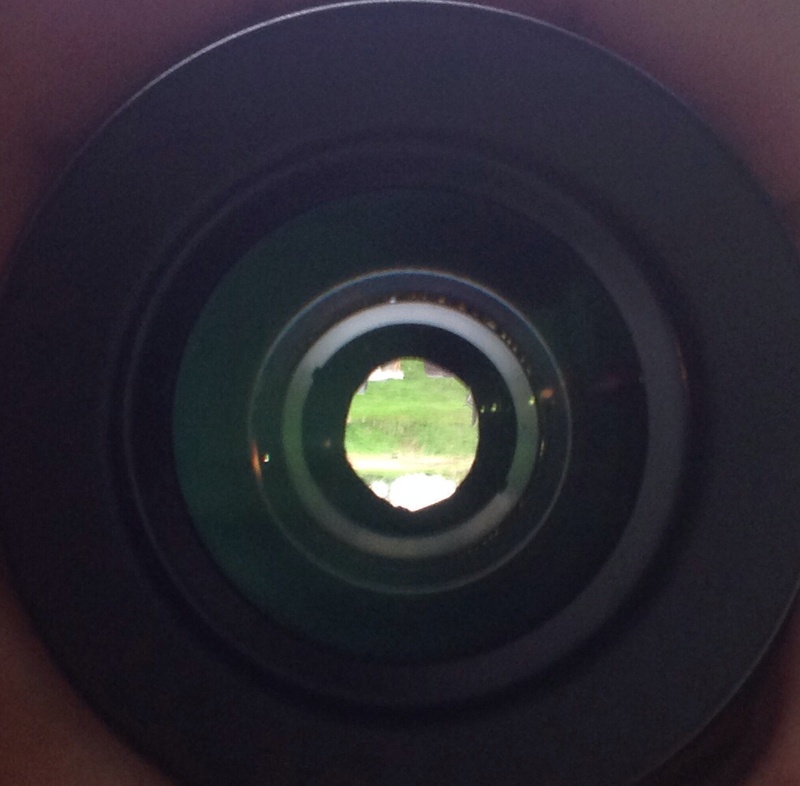 One reflection effect hardly ever taken into account is a reflection directly back from the bottom of the eyepiece that may get into the field of view as a bright ring in the image field. The side (end) of the eyepiece facing the secondary should also be tomb-black. This can also be easily conquered with flat black paint. While we're at it, why not make the eyepiece eye lens side a knife-edge baffle with the knife edge at the surface of the lens? Why let peripheral light reflect off a cylindrical surface above the eye lens (or bright light from somewhere in the FOV)? So yesterday I built a baffle to put over the bottom end of the 2" barrel of the 13mm Olivon. 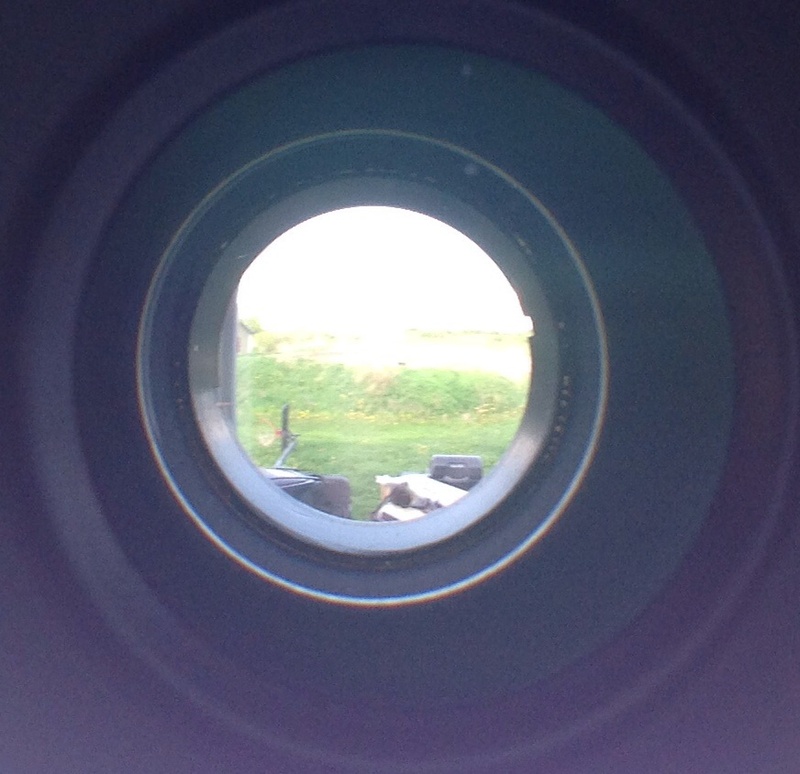 The opening of the baffle was 16mm, slightly less than the field lense diameter. I was still able to sharply see the field stop. Last night I had lousy skies, but in the brief moments where there seemed to be no thin clouds the baffle seemed to significantly reduce EOFB. When I had a brief look at M44 before clouds rolled over it I thought it looked very clean almost to the edge. So yesterday I built a baffle to put over the bottom end of the 2" barrel of the 13mm Olivon. The opening of the baffle was 16mm, slightly less than the field lense diameter. Can we get a photo of that? How was the baffle fashioned? I hoped it might. 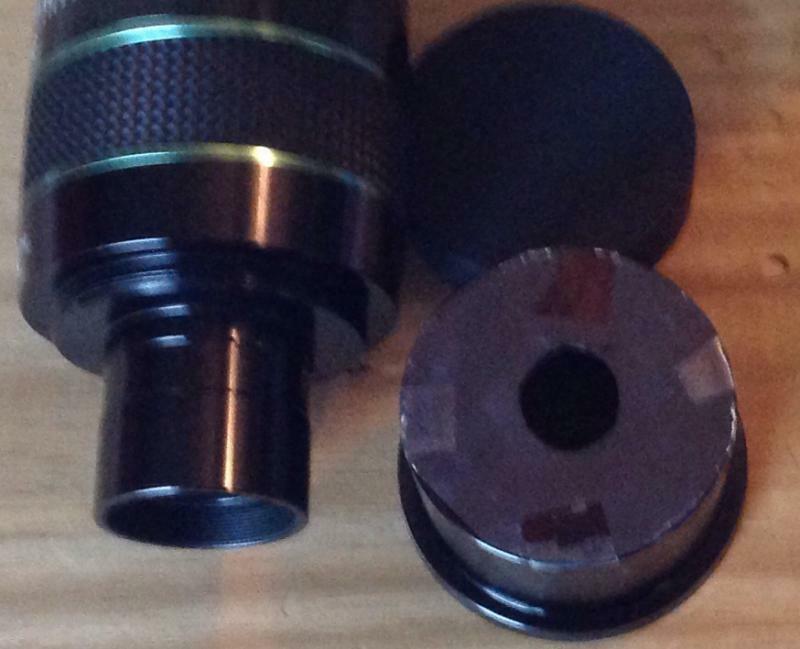 The idea wasn't original with me--TeleVue solved a similar problem in one of their eyepieces with the same trick. I've got several eyepieces I need to experiment with, now. It is nothing fancy. I took a yellow index card and traced the 2" barrel. I then centered the 1.25" barrel by eye and traced an outline. 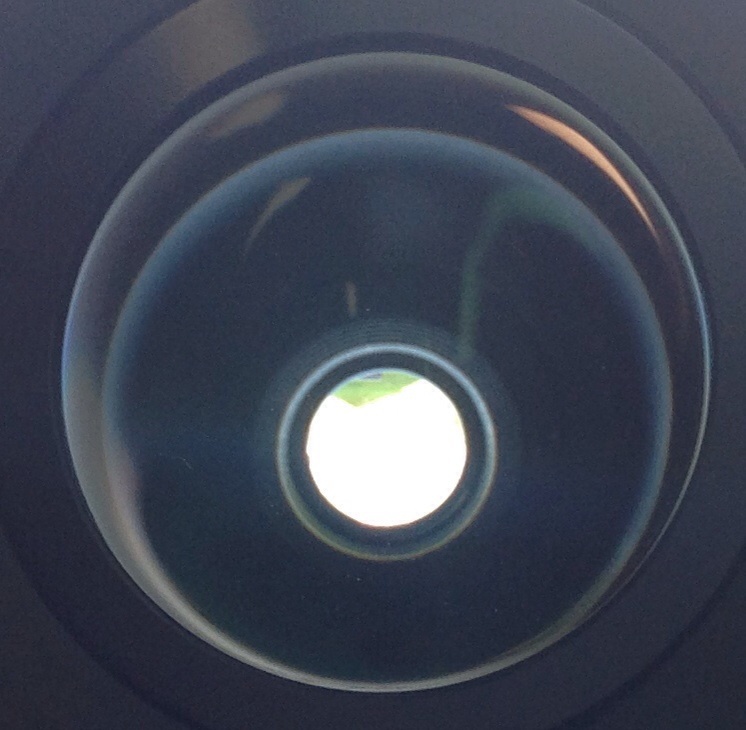 Then I measured the field lens diameter at about 19mm and settled on a 16mm aperture for the opening of the baffle. I had to cut it with scissors because I could not find my box cutters. So the opening is a little rough and slightly oval. I then used black permanent marker to blacken both sides of the index card. This I then taped onto the 2" barrel. The great thing about that is I can unthread the 2" barrel and compare views both with and without the baffle. I know it looks a bit crude, but I put it together just to see if it would make any difference. After more testing when I get dark skies again I may make something a bit more permanent. 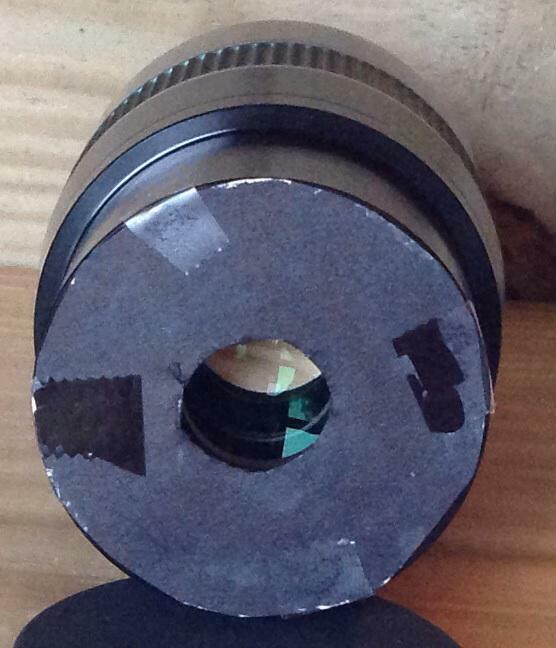 It is possible that this baffle is all I will need to do - which would be great because I am a little worried about taking the eyepiece apart to blacken internal spacers and surfaces. Someone could get fancy with this idea. How about a 2" extension with interchangeable flat-black metal irises of various diameters? Or better yet, an iris that is continuously variable, like a camera iris? But it's a shame the eyepiece manufacturers cannot optimize the baffling themselves before the product leaves the factory. If the iris is pressed inside the 1.25" barrel until it is touching the retaining ring with the bright interior, it will probably reduce the brightness in that ring still further since the light would have to be even farther off axis to hit the retaining ring at all. I bet you could find a suitable rubber or plastic washer at a hardware store to do just that. It'd be awesome if someone could make a metal baffle that could screw on to 2" or 1.25" threads in various apertures. Thinking aloud... perhaps an old filter could be used and the glass could be replaced with a sheet metal baffle. You guys are thinking along lines I've been thinking. It would not be an expensive part to produce.